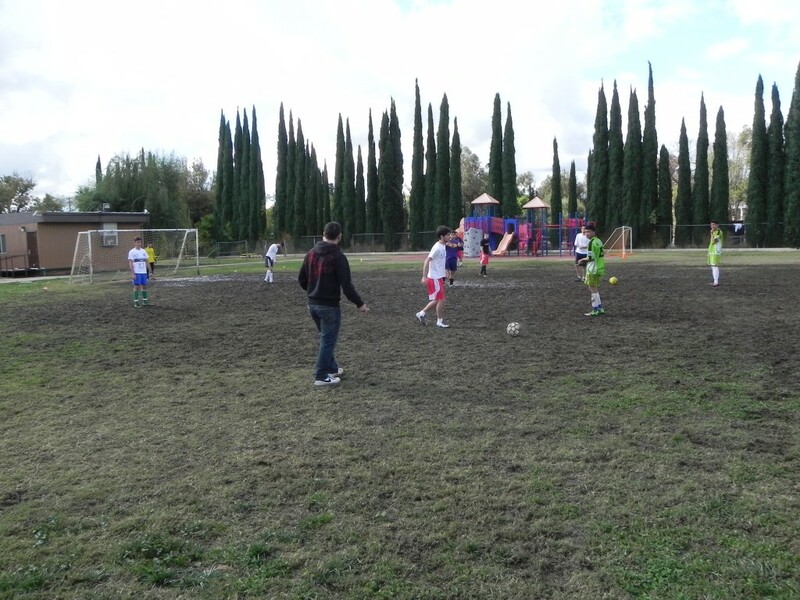 The AYF San Fernando Valley Sardarabad Chapter with the help of the Homenetmen Massis Chapter hosted a Soccer Tournament on November 17th and 18th. Despite the pouring rain and slippery mud over 40 people participated in this tournament. Dozens of people of all ages came to support the AYF Sardarabad Chapter in their efforts in raising funds for the With Our Soldiers Campaign. The organizers of this event explained to all what the Campaign was for and how it helped with the medical needs of the Veterans that served Artsakh two decades ago. Today the government of Armenia is not doing a good job in giving the Veterans treatment for the injuries that they have incurred during the time that they served to liberate Artsakh. This campaign helps the future of Armenia just as much as it does to the Veterans receiving he treatment today. By giving treatment and looking after the Veterans of today, the young men would be more inclined to serve their homeland if there was ever a situation where it was necessary. Soldiers of our nation need to know that every Armenian in the world cares. They have to understand that the diaspora and the government of Armenia will help them with whatever they can when they return back home from battle. Knowing that treatment would be free and that there would be other social programs to help support a wounded soldier returning back home is a great step to help the Armenian people. With constant threats of war made by Azerbaijan, with cases such as Ramil Safarov, all Armenians around the world need to show support in whatever way that they can. The With Our Soldiers Campaign is a great way for doing this. The With Our Soldiers Campaign has been an ongoing Campaign raising money and awareness about the current state of Artsakh War Veterans. The money raised by events such as this one will fund the medical treatment for the War Veterans who risked their lives fighting for the liberation of Artsakh. Stay tuned for more information in the coming days on the With Our Soldiers Campaign. LOS ANGELES- On Saturday, November 17th, the collective efforts of the UCLA Armenian Students Association (ASA) and Armenian Youth Federation (AYF), with the support of the Armenian National Committee of America – Western Region (ANCA-WR) caused Tolga Arslan, Turkish Vice Consul to cancel his appearance at the Los Angeles Model United Nations Conference at UCLA. 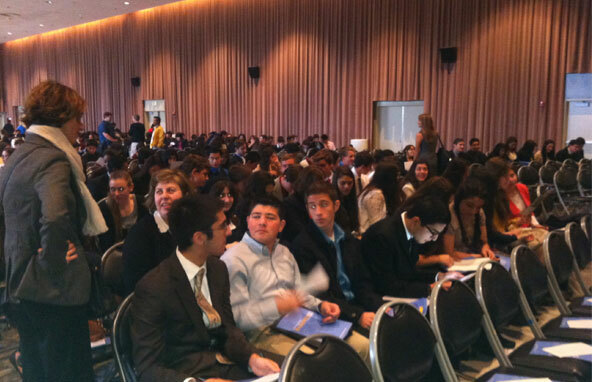 The Los Angeles Model UN Conference has been hosted by BruinMUN (Bruin Model United Nations) for the past eight consecutive years and attracts over 1,000 high school students from across Southern California to gather at UCLA and participate in dialogues regarding current events, international relations, and above all, the United Nations principles. Arslan was invited to be the keynote speaker at the BruinMUN conference, and was supposed to deliver an introductory speech to the conference participants. Just as the conference began, it was announced that Arslan had made a last minute cancellation. During the event, as students started filing into Ackerman Grand Ballroom, the UCLA ASA / the AYF combined forces, protesting outside and passing out informative flyers about Turkeys complete disregard for human rights and the United Nations Charter. The Armenian Youth Federation along with the UCLA ASA would like to thank the ANCA for their continuous support of our activities and commend them on their work for the Armenian Cause. 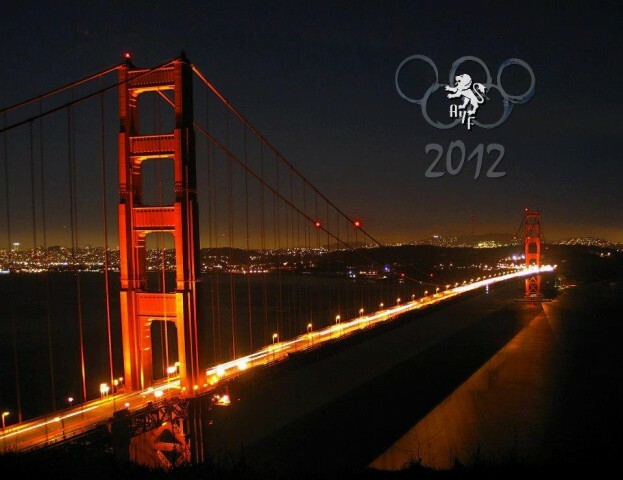 SAN FRANCISCO, CA  On Thanksgiving Weekend, the Armenian youth will converge in San Francisco for what has become an annual tradition, the 39th Annual AYF Western Region Olympic Games. Members from Fourteen chapters across the Western United States will be competing in Flag Football, Soccer, and Dodgeball tournaments. The San Francisco Rosdom and Orange County Ashod Yergat chapters have been working hard for the past year to prepare a memorable weekend for the Armenian Youth and the San Francisco community. The events will be held from Friday, November 23rd through Sunday, November 25th, with activities taking place day and night. The weekend will begin with a welcome Yacht Party around the bay, celebrating the start of an amazing weekend. The games will begin first thing Saturday morning, with fourteen chapters competing to win the gold and bragging rights! Saturday night, attendees will attend a Barahantes at the Khatchaturian Armenian Centers Saroyan Hall, in celebration of, not only the winners of the 2012 games, but of the 80th Anniversary of the Armenian Youth Federation as well. The evening will undoubtedly be unforgettable, and will feature entertainment provided by Khatchig Jingirian, delicious food, and various guest speakers. For more information on the Olympics Games and night activities, please visit www.AYF2012.com. HAYTOUG: Can you tell us a little about Fugitive Studios? What exactly does it work on and how did it come about? ROGER KUPELIAN: Fugitive Studios Entertainment is a production company and Invader Digital Visual Effects is the visual effects arm. They have different mission statements but converge when the time is right. H: A good segment of the stories and projects you have worked on deal with themes of armed conflict and fighting for freedom. What fundamentally draws you to tell such stories? R.K.: Just my background. Every country of my childhood ended up mired in civil war or open conflict: Sierra Leone, Lebanon, Ancient and Soviet Armenia etc. Also, the best and worst of people comes out during conflict, which heightens the drama in storytelling. It’s what I have seen and experienced but, thankfully, it has not scarred me beyond what art can’t repair. H: In 1994, you traveled to the frontlines of the war in Artsakh and documented the story of men and women who put their lives on the line to liberate their homeland. What was that experience like and what drove you to such lengths to document what was going on there? R.K.: I just needed to see for myself what was going on. It was my last year of college and I sold my film equipment and bought the latest video camera for the trip. My family’s historic experiences had something to do with it too. (One grandpa was a fedayeen and the other a photographer, at the time of the Medz Yeghern). Bottom line, I saw a lot of lip service and very few people actually willing to help. That’s as true today as it was then, by the way. H: Having spent time directly in the trenches with the freedom fighters of Artsakh, how important would you say it is for the community to stand by the side of our soldiers, whether during times of combat or peace? R.K.: Very important. They walk our talk. It’s that simple. We complain of all these little silly things and they have dealt with some big things, and it only takes a trip down to that region to see its importance. H: In your latest project, East of Byzantium, you delve into late antiquity with the historic “Battle of Avarayr” and developments surrounding Armenia’s struggle to survive as the first Christian nation. What are some of the main lessons from this historic battle that stand out to you and what do you think we can draw on as a people today? R.K.: Always surrounded, but holding our ground. Faith, hope and respect for our ancestors. But more than that, learning from the past to inform the present. Even with all the debates around some of the facts of Avarayr, the basic story of how they persevered against all odds and finally got what they wanted from the Persians (and their countrymen) is crucial. Some feel those stories are more legendary than factual but then again, legends are more valuable to a culture than mere facts that inspire nothing. Legends and Myths are based on facts, and they embody Truths. H: Where does the East of Byzantium project currently stand? Can you tell us about any recent developments? R.K.: The first graphic novel, WAR GODS, is rolling out and the project as a whole is involved in the recent Mel Gibson developments. H: Where can people go to find out more about your work and show their support? R.K.: They can hit rogerkupelian.com and also like East of Byzantium on Facebook. 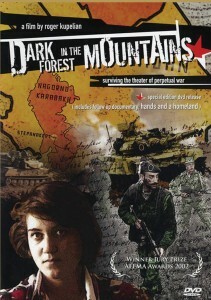 Also our www.eastofbyzantium.com site is being revamped with addresses of stores that are selling the book. H: Is there anything you would like to add or speak on regarding your work or this issue’s theme of the freedom fighter that we didn’t address in these questions? R.K.: Being someone who is ready to sacrifice for the freedom of your own tribe should extend to the freedom of every tribe. I’ve lived in many places around this planet, and the human need for freedom, connection, and self-worth and dignity is a common value. Any jackass can shoot a gun, but a system of values around which you are ready to sacrifice is a lifestyle that builds character. And oh yes, keep your sense of humor.